Resveratrol, found in grapes, peanuts, and blueberries, can help protect against a range of diseases, including cancer and heart disease. Other sources include pomegranate, blueberries, mulberries, cranberries and pines. Vision researchers at Washington University School of Medicine in St Louis discovered that resveratrol stops out-of-control blood vessel growth in the eye. The discovery has implications for preserving vision in blinding eye diseases such as diabetic retinopathy and age-related macular degeneration. According to a study conducted by researchers at the University of New York, resveratrol appears to suppress inflammation in humans, hence benefiting those with inflammatory diseases like rheumatoid arthritis and cardiovascular disease (known as inflammation of vessels). The natural antioxidant also protects against a range of illnesses and diseases, including neurodegenerative diseases such as Parkinson's and dementia, cancer and heart disease, and has been more recently documented for its role in extending the lifespan by quite a few years. Cardiovascular health: Resveratrol inhibits platelet aggregation (i.e., the clumping together of blood platelets that can lead to heart attack or stroke). It also promotes increased blood flow by enhancing the production of a naturally occurring substance in the body called nitric oxide, hence decreasing the risk of thrombosis (clot formation) and atherosclerosis (hardening of arteries). Antioxidant properties: Free radicals are formed due to age, lifestyle diseases, stress or exercise. Resveratrol scavenges on the free radicals directly. Research has shown that resveratrol prevents the oxidation of LDL particles (the "bad cholesterol"). Anti-inflammatory: Our bodies manufacture cyclooxygenase (COX) enzymes, which perform various functions. One such function, inflammation, is necessary as a normal, healthy attempt by the body to heal itself. However, when inflammation gets out of control (such as in the case of arthritis), resveratrol inhibits COX enzymes. Anti-cancer effects: Long-term inhibition of COX significantly reduces the risk of developing many cancers. 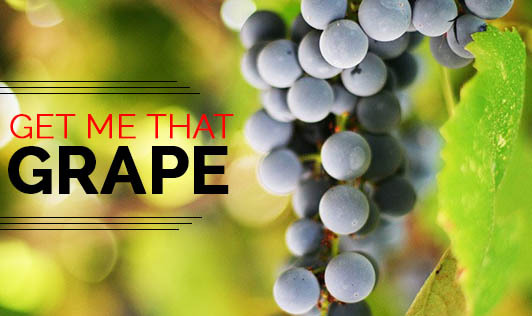 Resveratrol has been found to inhibit the proliferation of various human cancer cell lines. This is due to a combination of inhibition of COX and the growth of new blood vessels. Antiviral activity: Resveratrol was found to block the influenza virus from transporting certain proteins, thereby restricting the ability of the virus to replicate. It also suppressed the activation of herpes simplex virus proteins, and reduced the production of viral DNA. Anti-ageing: Resveratrol increases the production of SIRT gene, found in humans and other mammals that helps promote survival by protecting cells during times when food is scarce. SIRT acts as a "rescue gene," repairing the damage done by free radicals. Weight loss potential: Obesity is characterized at the cellular level by an increase in the number and size of adipocytes (fat cells) that develop from pre-adipocytes in adipose tissue. Resveratrol inhibits pre-adipocytes, which can reduce the production of new fat cells. That's why French women are slim despite the cheeses they eat. A 5-ounce glass of red wine provides about 0.30 to 1.07 mg of resveratrol. The Japanese knotweed is one of the most common sources and is sold as 40 mg tablets of resveratrol in Japan. A cup of peanuts (raw) provides about 0.01 to 0.26 mg.